The #2018Resistance welcomes the new political kid on the block, the New Patriotic Front (NPF). As the NPF becomes the newest member of the ranks of pro-democracy formations in Zimbabwe, a number of questions are being raised. Is it necessary to have another new political party? 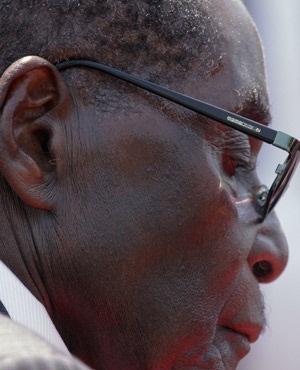 Is the NPF not an avenue to bring back President Robert Mugabe? Is the NPF not a surrogate of ZANU PF created to split the opposition votes? The traditional opposition is worried about NPF. To answer the first question, the NPF’s Consultation Points Document provides a window into the reasons for the creation of the NPF as it states, in the first sentence on page two, that: “For Zimbabwe’s sake, it is a patriotic duty and generational responsibility to lawfully and democratically reverse the bloody military coup of 15th November 2017, as soon as possible and in the context of the elections that are constitutionally due between July and August this year”. This seminal founding sentence encapsulates the beneficiary, obligations, objective, means, timescale and rationale for establishing the NPF. The beneficiary of the establishment of NPF is stated as being “for the sake of Zimbabwe”. NPF is imposing upon itself the obligation of “patriotic duty and generational responsibility” in order to achieve the objective of “reversing the bloody coup of 15th November 2017”. The means for the reversal must be “lawful and democratic”. The timescale and rationale are that this must be done “as soon as possible and in the context of the elections that are constitutionally due between July and August this year”; the elections must be held between 23rd July and 22nd August 2018 in terms of Section 158, as read with Section 143 of the Constitution of Zimbabwe. The second question that is on the opposition’s minds is whether the NPF is not an avenue to bring back President Robert Mugabe? It is important to acknowledge that the NPF’s objective of reversing the bloody coup of 15 November 2017 is being feared and misinterpreted to suggest the return of President Mugabe as Head of State and Government. It would definitely be grossly unfair to President Mugabe to seek to burden and encumber him again with responsibilities for the state given his contribution to Zimbabwe thus far. His family deserve to also enjoy his company and presence. Apart from which, the return of President Mugabe is definitely not the intent of the NPF as stated in key action point III of Section 3 of the Consultation Points Document, on page seven, which calls for the “need for a civilian transitional authority to prepare for free, fair and credible elections”. Lastly, is the NPF not a surrogate of ZANU PF created to split the opposition votes? ZANU PF is dead. It is now an immutable fact that ZANU PF was murdered during the bloody coup of 15th November 2017. The stockholder mentality of the coup plotters and terrorist junta is to take ZANU PF as “chinhu chedu” (our thing) at the exclusion of the people. This exclusionary conceptualisation of being the stockholders of ZANU PF whilst and every other member is regarded as being a mere stakeholder was articulated by Chiwenga in an interview during the 2017 Independence celebrations. Former ZANU PF members have to come to terms with being dumped; takarambwa (we were ditched). There are those of us who were told in no uncertain terms that we are not wanted in ZANU PF and divorce papers were served on us. Some of us received the divorce token of violence, torture and a rain of bullets. Gupuro ranga riri bara (the divorce token was a bullet). Others are still hopefully hanging in there in the manner that a battered and abused spouse suffers continued abuse for the sake of the children. Bvumai kuti zvapera atenzi. Recognize that ZANU PF is dead. What is left now is the ghost of a former liberation movement. Furthermore, it is important to note that liberation movements such as UNIP of Zambia, MCP of Malawi and KANU of Kenya have not been able to survive the departure of their founding fathers. In the case of ZANU PF, the violent and humiliating ouster of President Mugabe makes it even worse as explained to one Vera, whose job description at ZANU PF Headquarters includes consulting spirit mediums and the occult. The poor lady is currently grappling with how she can inform Mnangagwa that, on her latest visit to the spirit medium, he was given only five months to go. Opposition political formations, including thought processes, paradigms and inclinations opposed to ZANU PF, must come to terms with the fact that NPF is not an enemy but an extremely useful ally. An ally that knows how to exorcise the troublesome ghost of the dead ZANU PF. Pro-democracy formations therefore have an obligation to work with the NPF to ensure that the coup conspirators and terrorist junta are stopped from the further militarisation of constitutional governance. The NPF is committed to the reversal of the bloody coup of 15th November 2017 and subscribes to the demilitarisation of civilian processes in Zimbabwe. NPF has a definite and credible plan on how this can be achieved. Although NPF views President Mugabe as the Mentor par excellence, it acknowledges that he has been retired, albeit forcefully, and should not be burdened and encumbered again. The NPF knows fully well that ZANU PF is dead. Mnangagwa and Chiwenga are holding onto the decaying corpse of a deceased liberation movement. NPF has the knowledge and capacity to deliver the final nail in the coffin for ZANU PF. Iwe neni tine basa. Mkhulu loMsebenzi. Asante Sana.